Polish photographer Magdalena Wasiczek has won this year?s International Garden Photographer of the Year with a picture of a brimstone butterfly. Magdalena won the £5,000 prize with an image entitled Upside Down, which she had entered into the contest?s Wildlife Havens category. ?I love the subtlety and balletic simplicity of this picture,? said competition judge Andrew Lawson. 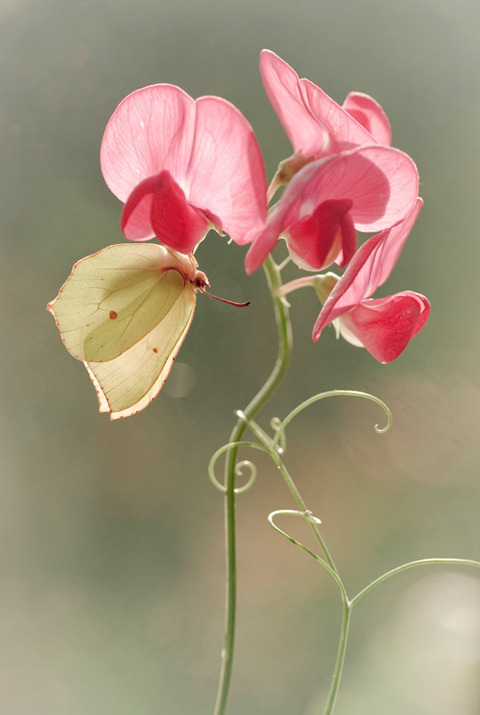 ?The brimstone alighting on a sweet pea is a fortuitous event, brilliantly seen?The outline of the insect?s wings are continuous with the lines of the flowers, and the patterning on its wings echoes the pink in the flowers. ?